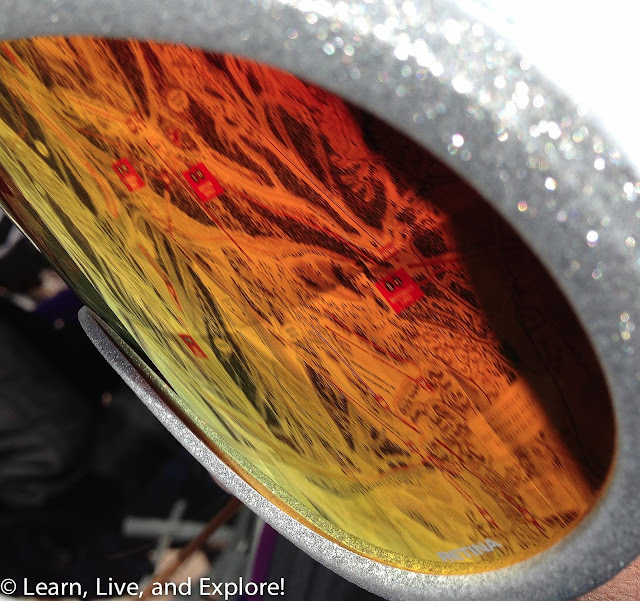 Sundance Film Festival 2013 ~ Learn, Live, and Explore! 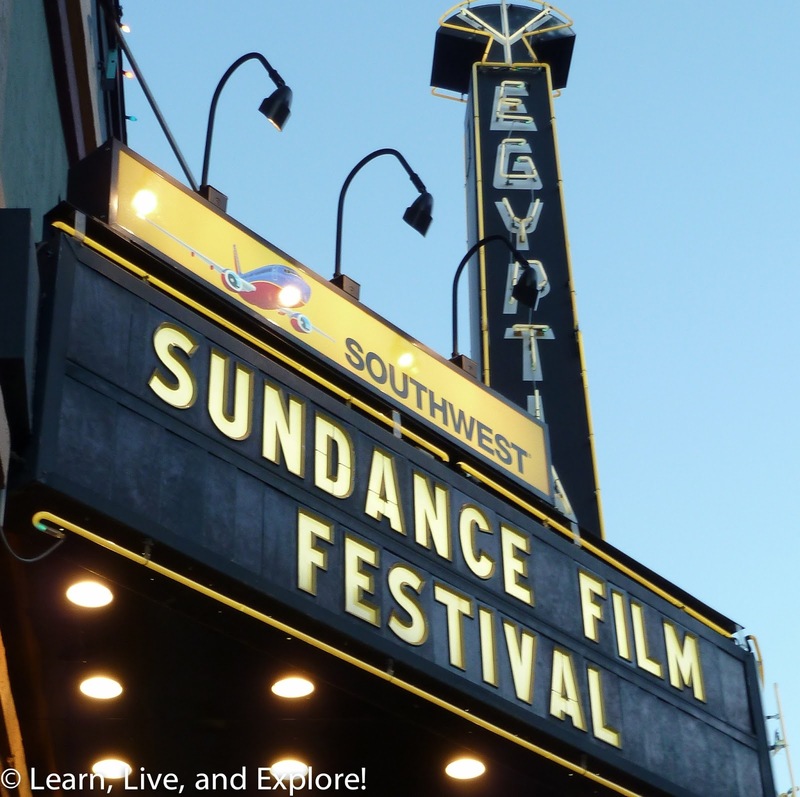 It's that time of year again - time to head to Park City for the Sundance Film Festival. This year was my third time visiting the festival, and unlike last year, we were there for the more exciting first weekend of the two week event. Our plans were simple: ski during the day, hang out in Park City at night. There were tons of festival-related, sponsored hot spots to check out this year. Most are exclusive to credentialed festivalgoers, so while denied entry, they were not bad spots to be if you want to do some celebrity sightings. Village at the Lift (825 Main St): UGG Australia tent with the official portrait spot for Getty/WireImage. There was also the Stella Artois tent where it looked like they were serving food and drinks. Since this is also the bottom of the Town Lift at Park City Mountain Resort, many skiers and boarders are also meandering around (like us!). Tao (below Village at the Lift): This Las Vegas nightclub set up a satellite venue for the festival to host private parties. Nintendo Lounge (738 Main St.): A spot to escape the cold and try out the new Wii U and Nintendo 3DS XL on comfy couches. Nikki Beach Private Lounge (201 Heber St.): This Miami favorite is a Sundance newbie in 2013, acting as a pop-up venue on the indoor-outdoor rooftop patio at The Sky Lodge Hotel for private parties. Chase Sapphire on Main (692 Main St.): Cocktails and hors d'oeuvres courtesy of Chase, plus a gallery with memorabilia from past festival films. Also a venue for VIP parties. Park City Live (427 Main St.): Daily concerts with big name artists - get tickets early! 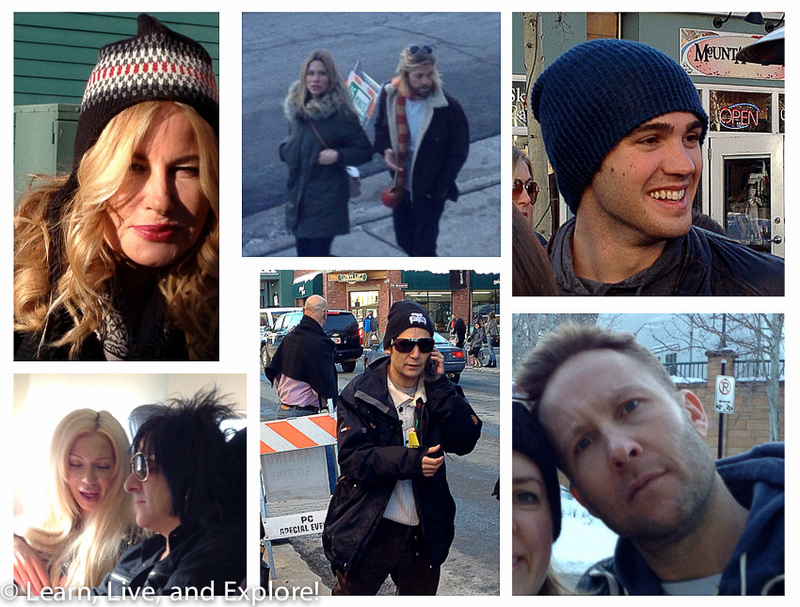 So, think it's going to be hard to spot celebrities because of all the restricted access at a lot of these venues? After skiing on Day 2, my friend and I just sat outside of Doolans on Main St. for some après-ski beverages and the TV, film, and music stars came to us! We found a lot of the people who walked by to be very friendly, especially the comedians/comic actors who aren't very big in the industry. In addition to those celebrity photos, some of the photos below were taken at the airport on my way back to D.C. With the Presidential Inauguration being held the next day, my flight had several aging rock musicians who were scheduled to play at the Inaugural Green Ball for the National Wildlife Fund on Sunday night. I guess they are a kind of all-star band called Camp Freddy that includes occasional guest singers/musicians like Sugar Ray's Mark McGrath. I was talking to the bass player on the way to baggage claim and couldn't keep up with the names he was rattling off and their respective musical resumes. 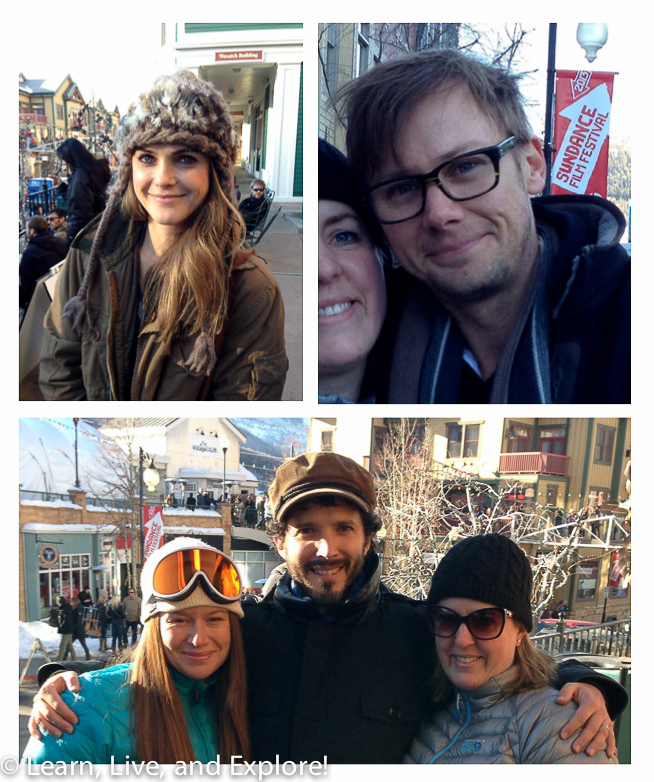 Of course, when in Sundance, it's always nice to catch a film or a few films. Unfortunately, we got into the ticket game a little late and ended up with tickets to only one movie. When the time came to decide on whether or not to go see it, one quick read of the synopsis, and we opted to stay at the bar. The main character shot himself up with embalming fluid!! Gross! I wrote a little about the ticket process in last year's post, if you're interested. Of course, one cannot go to Park City without taking advantage of their top notch ski resorts. 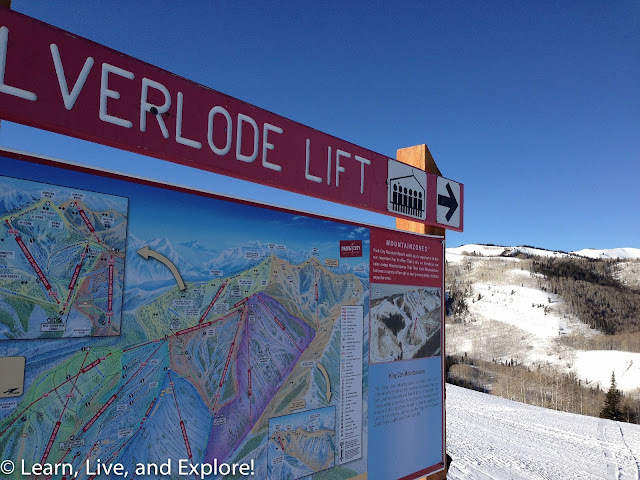 This year, we decided to go to The Canyons and Park City Mountain Resort (or PCMR for "cool" people). 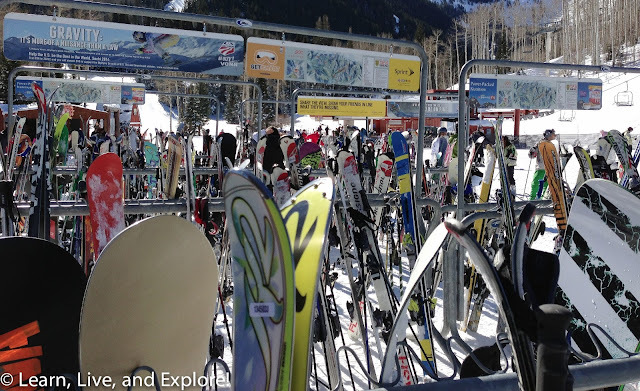 There are sponsored Sundance activities on the mountains as well, including The Burton Experience at the Canyons and the Oakley Learn to Ride area at PCMR. The Canyons is a nice resort geared more towards the advanced skier. Had there been more powder or even several inches of fresh snow, several of the blue runs would have felt like actual blue runs instead of green beginner runs. The resort spans so much of the mountain that it seems impossible to be able to do all of the runs available. Perhaps because it was a Friday and perhaps because it is not as convenient as Park City and Deer Valley to the main set of accommodations in the city, the resort felt empty - which was great because you could make your way down the slope carefree and didn't have to spend time in long lift lines. Park City Mountain Resort is the most popular resort for Sundancers and locals alike. 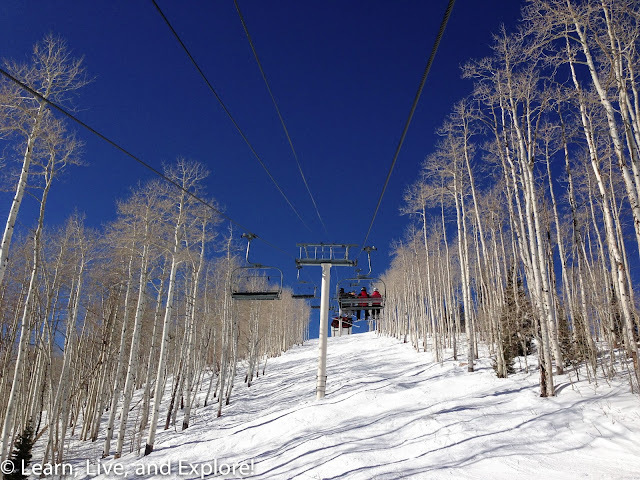 During the film festival, the slopes are more crowded because the regular ski team practices (youth, teen, and college) don't pause for the two weeks and it's situated so close to downtown Park City, with the one lift actually beginning right off of Main Street. But the resort is so big, the crowds, while bigger, are still not too intense. 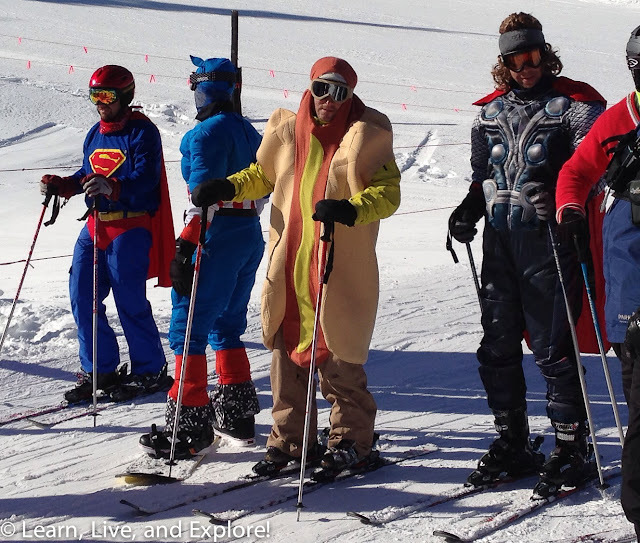 Best part of the day at PCMR: riding the same lift chair as three superheros...and a hot dog. It was quite an interesting conversation we had on the way up! Speaking of chair conversations, I also loved speaking french with some snowboarders from France who were in town to present their creative installation at the festivals New Frontiers exhibit. They were very nice to indulge me and my seriously out of practice language skills. That's one thing I love about skiing - everyone is so friendly. It's like SCUBA diving, where you have this shared interest and there's an accepted camaraderie about the experience - it's all about the adventure of skiing and the rest of life is forgotten for a bit. Unfortunately (or fortunately for me), I can't give a good recommendation for lodging since I stayed with a friend. 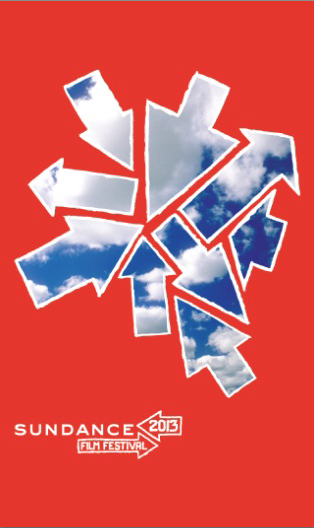 All of the rooms rates are jacked up for the festival and sell out early. If money were no object, I would love to stay at the St. Regis or Montage in Deer Valley. That or rent a house. Helpful hint - make your reservations early for any restaurant on Main St. All of the good restaurants are booked, so the leftovers that are available on Open Table are the mediocre establishments. This year, Morningstar (manufacturer of vegetarian frozen foods) took over a restaurant to install a temporary food joint where they were giving away various veggie burger concoctions - yes, it was all free. Even non-alcoholic drinks! I was a little irked because they were not serving my favorite Morningstar item: veggie corn dogs. Since, we were lazy and did not make reservations until the week of the festival, we ended up on Friday night at Ciceros on Main Street for some average Italian food. On Saturday, we opted to not fight the crowds and pay the steep prices for parking on Main St., especially after having spent a couple hours there after skiing that day. Instead, we decided to get a nice meal at one of the restaurants of the 5-star hotels outside of Park City, selecting the Apex Restaurant at The Montage in Deer Valley. The food was outrageously priced for what you got, as can be expected from a restaurant located in a luxury hotel like this, but for the most part it tasted good. I had a tomato soup and cheese panini appetizer, salmon main course, and shared a dessert sampler with my friend. The drive up to the hotel was amazing, lit by dozens of evergreen trees wrapped in white lights. Remember you are in Utah, so alcohol is tightly regulated. If you're a beer person, don't order off the tap because it is very likely to be a low 3.2% alcohol content. Park City's own Wasatch Brewery distributes bottled beer at the local bars, in addition to pouring it at their brewpub. I found that I really liked their Devastator Double Bock amber ale (8%).